One of our favorite yogis – the amazing Pam Godbois – returns once again for her 5th annual summer retreat at Good Commons! Summer in New England is a great time to enjoy all that this beautiful region has to offer. From the mountains to the lakes, nature in Vermont, is truly aw inspiring. With nature as the inspiration for this retreat – the yoga practices, food, and leisure time activities are all based on all this beautiful area has to offered. 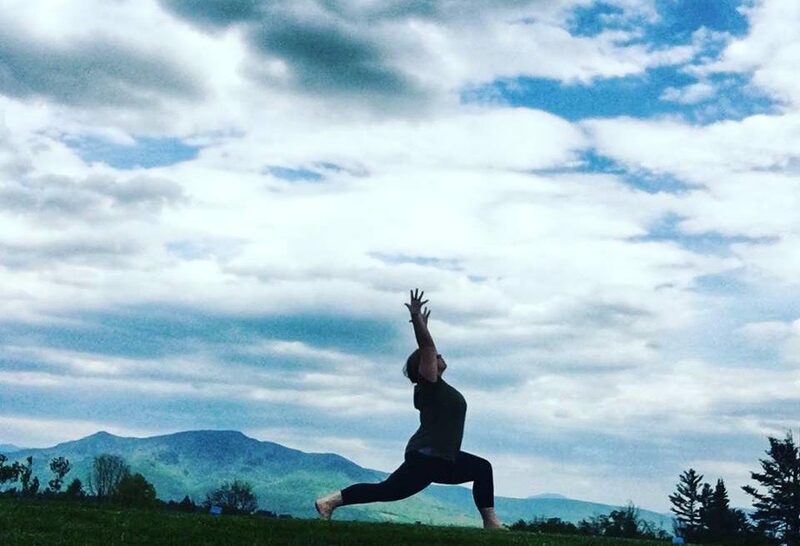 During this weekend get away you will be treated to 6 yoga practices, delicious farm to table food and ample opportunity to connect with new friends, hike, swim, relax in the hot tub and unwind by the fire pit. Included in this year’s retreat will be an opportunity to increase your mindfulness skills through optional daily meditations and journaling, which will allow you to develop a practice that will increase a sense of peace and calm in your day to day life. This year we are excited to have another area teacher joining us. Anthony Tomasi, a member of the Chromatic Yoga Family and owner of PLAY Yoga in Peabody MA, will be joining us and sharing in the teaching during this retreat. We have the pleasure once again of welcoming the talent of chef Alejandra Ramos in the kitchen. We can always rely on Alejandra to take amazing care of us. Along with her talents in the kitchen, she is an amazing presence to have around all weekend, adding to the joy and laughter. There is also a wonderfully talented massage therapist/body worker offering her services over the weekend for an additional cost. Be prepared to deepen your practice, make new friends and rediscover your best self. Join us this summer in Vermont, August 15th-18th. For more information and to sign up for this retreat, please contact Pam at the email address below.